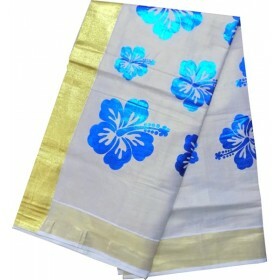 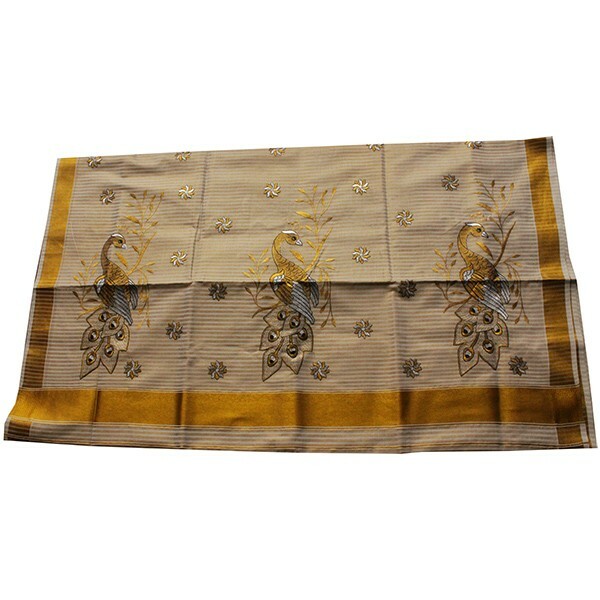 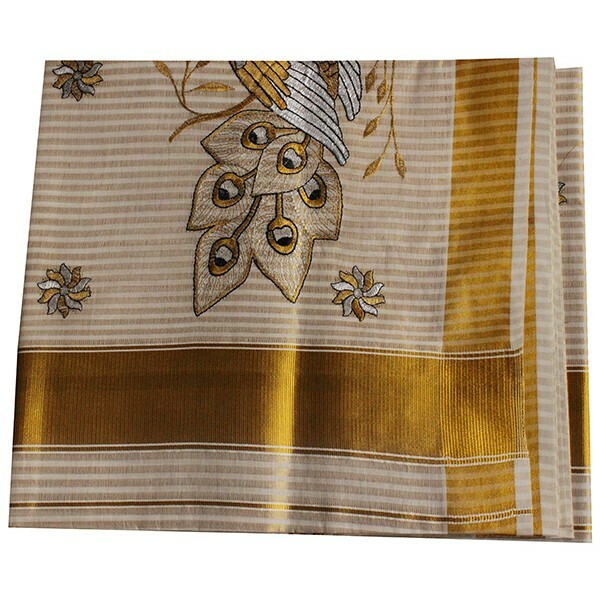 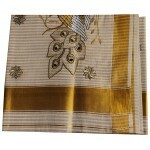 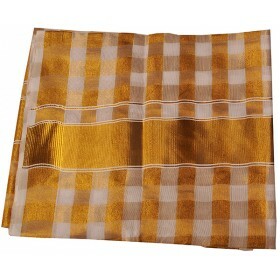 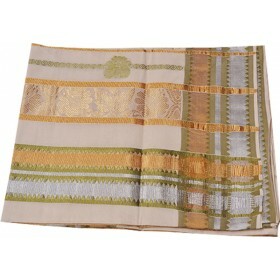 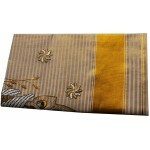 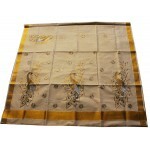 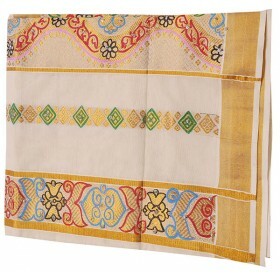 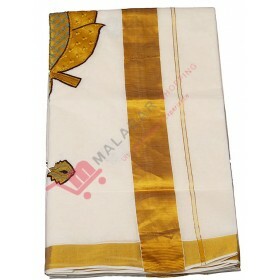 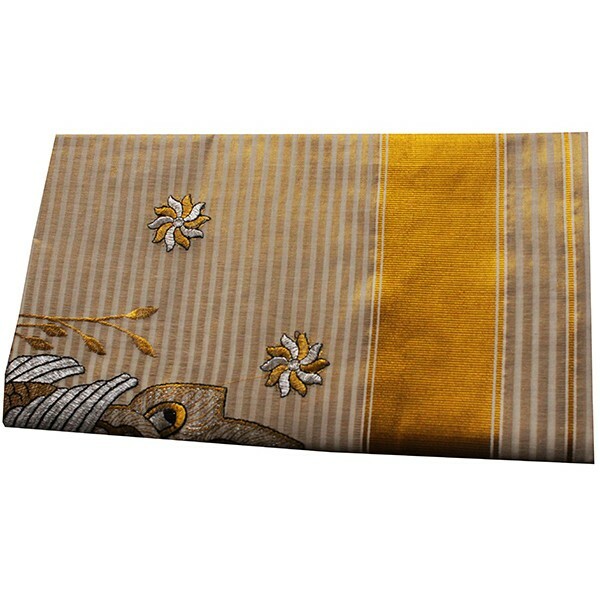 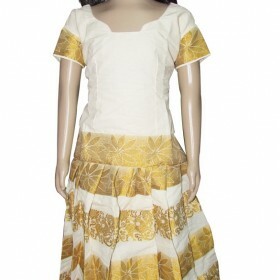 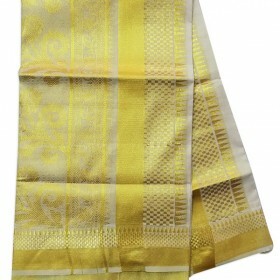 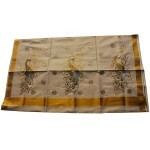 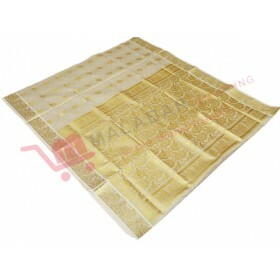 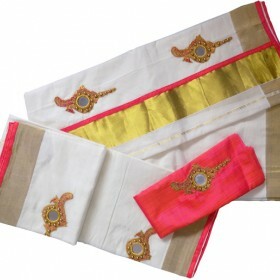 Off white cotton fabric Kerala kasavu traditional striped saree designed with beautiful black,golden and silver peacock embroidery. 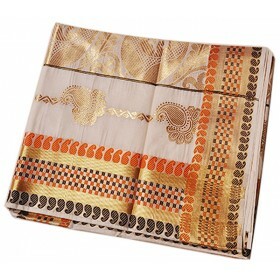 The peacock design is on the brocade is gives the rich royal look. 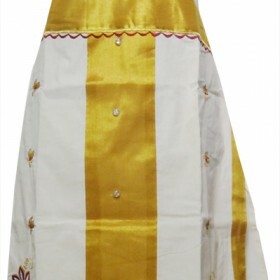 It’s really gives the special look on every occasion. It’s a rare collection of black and silver.